Do you know that the second largest Superfund site in the United States, Bunker Hill, has affected the Coeur d’Alene Basin? Do you know that the United States Geological Survey estimates there are more than 75 million metric tons of contaminated sediments at the bottom of Lake Coeur d’Alene? Did you know that Sanders Beachfront is privatized and has nine points of street drainage directly into the lake? 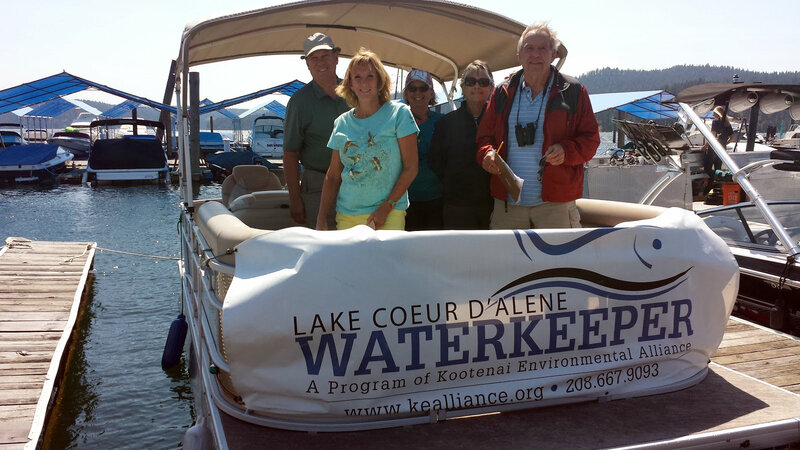 The Lake Coeur d’Alene Waterkeeper, a partnership between The Kootenai Environmental Alliance (KEA) and International Waterkeeper Alliance, is hosting educational boat tours throughout the summer and into the fall. 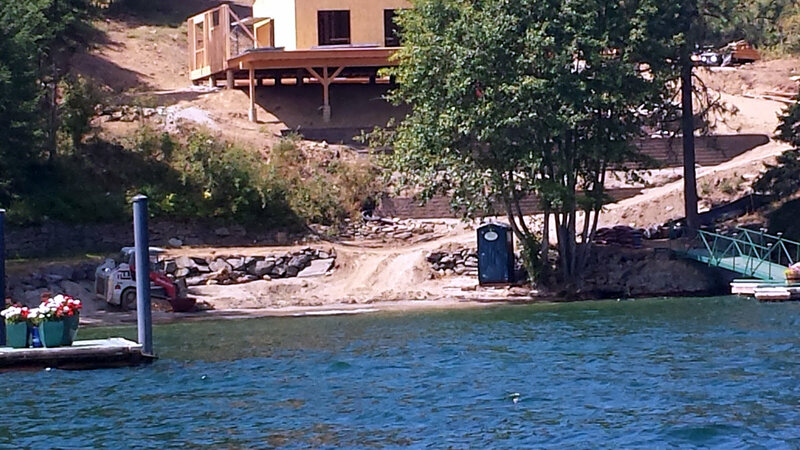 These boat tours along the shores of Lake Coeur d’Alene inform the public about just these kinds of clean water issues. The Waterkeeper program plans to continue these tours annually to let local people know about the dangers facing the lake, a key economic driver for Kootenai County. Dennis Brueggemann, a member of the Board of Directors with the KEA, from Northport, New York, and Coeur d’Alene resident for 15 years, hosted the boat tour on August 30, 2017. The 2.5-hour tour, which Brueggemann said was flexible to attendants’ time needs, was simultaneously informal and jam-packed with information. Due to the critical and serious nature of the information presented, attendees were both greatly appreciative of the relaxing and serene scenery and seized by a sense of urgency about the sources of pollution that they witnessed. At the many stops along the tour attendees learned to recognize and diagnose the risks of dying trees, non-native trees, and unauthorized trails on Tubbs Hill; street drainage; unnatural shore-side lawns likely treated with unsafe fertilizers; improperly applied or absent buffering for yard runoffs; abandoned docks; and Eurasian Watermilfoil that depletes oxygen for native fish and organisms. Along with a sense of urgency is a sense of history. 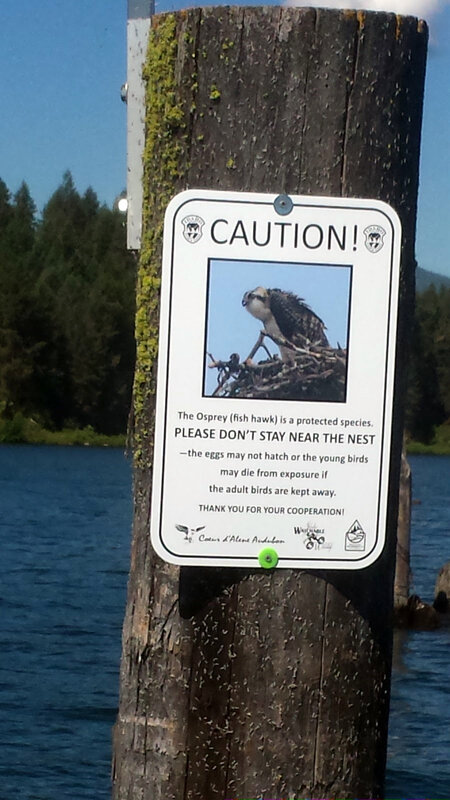 Attendees learn about the history of KEA victories, such as its role in keeping Tubbs Hill public; helping Kootenai County Parks and Waterways install No-Wake Zone buoys to demarcate Cougar Bay; preserving osprey piling habitats; and getting the city of Coeur d’Alene to stop boats from dumping drain water into the lake. The KEA’s current goal is mostly education for homeowners, developers and students. Brueggemann hopes to eventually see a standardized environmental educational curriculum in our schools. The KEA has gone to schools with 3D models demonstrating how the CDA basin watershed works. This tour is well worth your time. For anyone interested in taking a Waterkeeper Boat Tour this fall, more information is here. A reservation for the next date can be made by calling or emailing the KEA office.